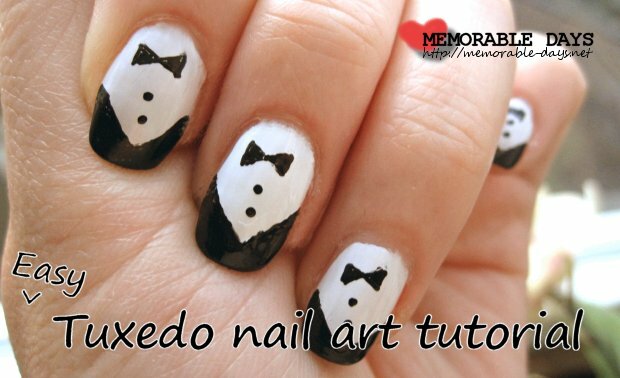 Tuxedo nail art tutorial | Memorable Days : Beauty Blog - Korean Beauty, European, American Product Reviews. I haven't posted a nail art tutorial for a while, so I'm going to post one today ^___^. In this blogpost I would like to share the tuxedo nail art tutorial. It's actually very easy to do, just follow the few steps below and I'm sure that you're capable to do this :D.
Step 1: Apply a base coat and let it dry. 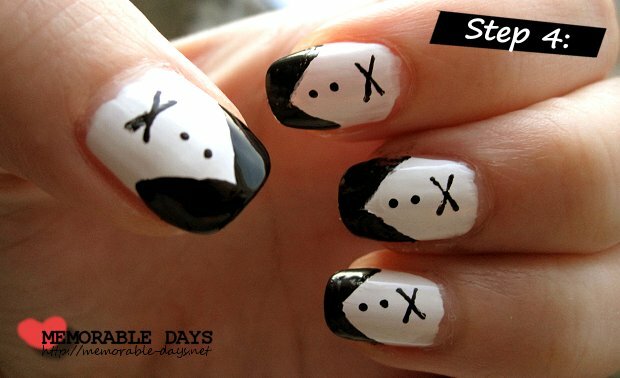 Step 2: Apply a white nail polish and let it dry. 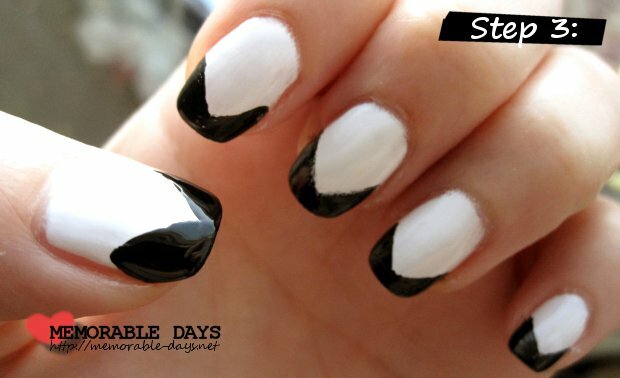 Step 3: Use a black nail polish and create the two triangles on every nail. I used a black nail art pencil (which was quite hard to do), but you can also use nail art brushes to create the triangles. Step 4: Apply two dots with a dotting pen or a toothpick and draw a cross above the two dots. Step 5: Create the bow tie. Step 6: Apply a top coat and you're done :). What did I use for this tutorial..? THATS SO CUTE!! i actually love it with just the triangle tips too.